For fashionable reasons,most ladies enjoy changing hair style now and then,Wearing human hair lace wigs is the best and easy way to get new hair styles,it can help conceal hair loss such as during the regrowing process or by chemical process. Regardless of your reasons for wearing a human hair lace wig, it is clever to know that care for your own hair is important as well when wear full lace wigs or front lace wigs.it will actually lead to hair loss or damage. if Ignore to properly maintain your own hair while wearing a full lace wig or lace front wig.we wear human hair lace wigs or synthetic lace wigs does not mean we don't want our own hair anymore,right? The french lace or swiss lace constructed on full lace wigs and frontlace wigs will let your own hair breathe.It's better not to choose cotton wig caps and other cap material that can hinder new hair growth and damage your hairline. Whenever possible use gel wig liners to protect your hairline and skin.take into consider to protect your own hair growing condition.You scalp and hair will grow lots of fungus and anaerobe without enough air in 20 minutes.they will damage your own hair and hair follicles that cause hair loss,they will damage your lace wigs as well.you will feel itch if wear such lace wigs on summer. Shampoo and wash your hair regularly. Just because you are wearing a wig,it can let you get a new looking,does not mean you can ignore your usual hair care routine. After washing and conditioning your hair and scalp, always remember to dry it completely before putting on a full lace wig or lace front wig. 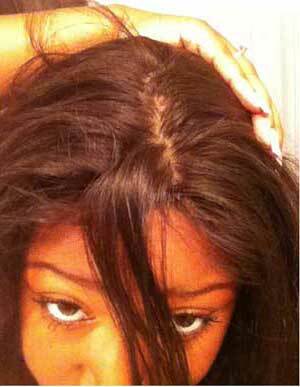 Putting a full lace wig or lace front wig on over wet or damp hair creates a breeding ground for germs and fungus. Have your hair professionally trimmed on a regular basis every month. Trimming your hair will remove split ends and damaged hair follicles, which will help keep your hair healthy and grow. In addition to keeping your hair healthy by removing damaged hair, trimming on a regular basis will lead to faster hair growth as well. Wrap long hair around your head under the wig or braid hair. Don't bunch your hair up under a wig or cap. Having your hair balled or folded under a wig could cause severe breakage. Keeping your hair braided or wrapped up neatly will help keep your hair healthy and grown, as an added bonus, will keep your full lace wig or lace front wig even neat and last more longer. Caring your own hair contribute to care your full lace wig and lace front wig,isn't it?